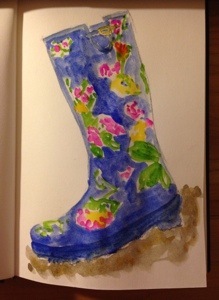 I’ve added the pattern to my welly – enough to brighten any winter’s day! I’ve also given it some mud to step in! This entry was posted in Watercolour. Bookmark the permalink.